Armed with our Belair X 6-12 camera, photographer Geoff Thomas embarked on an excursion around Spain and Morocco. Documenting his travels every step of the way, Geoff tells us more about what he learned from this life-changing trip. Hi Geoff. Introduce yourself and your work to the community. My name is Geoff Thomas and I am a multi-disciplinary artist (photography, illustration, prose, video, film, collage). My photographic work is deeply rooted in the streets but veers into a more controlled, patient, abstract, and surrealistic point of view. These photos were shot on a recent trip to Morocco and Spain. Do you have a favorite memory from the trip you can tell us about? There are so many moments during my trip that were visceral and vivid, meaning I was open to any new experience in culture and landscape that were so utterly new to me that they permeated all of my senses. Perhaps the most potent memory I can give doesn’t exist in a single day or hour or minute but rather was prolonged over a series of days. I roomed at a hostel, and in that hostel, there was a woman from Italy that had been traveling for three weeks throughout Morocco. She had embarked on this type of excursion for many years sequentially with such leisure, as she was retired from being a hotelier in Greece. Over the course of four days we conversed, spoke of the differences between cultures in Morocco, Middle Italy, and NYC. We drank mint tea together, smoked together, ate together, and upon my last day in Chefchaouen, in the early morning, walked through the village together. Making a meaningful, human connection beyond language, borders, and experiences, learning more about life and how other people live theirs, as well as sharing my own experiences, was an unexpected and extremely illuminating gift. Of the places you visited, which was your favorite to photograph and why? Chefchaouen is rife with photographic opportunities, not only for the architecture and its blue-hued, surreal labyrinths but also for the landscapes surrounding the city and the people. One has the opportunity to focus on so many different subjects: the vista of the mountains, the old medina nestled in the mountains. The pace of life in Chefchaouen is languid, which gives one the pleasure to relax and have the patience to watch the passage of time in light and shadow and how this affects color and texture. Technically speaking, what did you use to shoot these photos? I shot with the Lomography Belair X 6-12, using Lomography CN 400 and Kodak Portra 800 film. Pick a photo and tell us the story behind it. Frequently I wandered aimlessly, without any purpose other than instinctively following one sign after another. That sign could have been dictated by the rays of sunlight, an orange stray cat’s direction, the lingering scent of baking bread, the avoidance or embrace of a crowd of people, or the unknowable, instinctive step towards some new path. After having sketched a portrait of a man that sold me a teapot, I found myself in a new section of the Medina I had not seen. The children in Morocco looked so happy, and their shouts of play filled the passageways with effusive joy. They were content with what they had, while none of them seemed spoiled or bitter of what they didn’t have. Very few of the photos I took had people in them, mostly because I didn’t feel like exploiting the image of the Moroccan people, nor like paying for a portrait of someone, but here I saw children playing and laughing in what seemed to me to be a dream world. Do you have any advice for photographers looking to document their travels? When you are traveling, get in tune with your surroundings, pay attention to how life moves, how your new setting affects you. How is the light different or similar to what you know? Embrace sounds, composition, architecture, motion and let it inflect your choices. Don’t take a photo just for the sake of it, especially of something someone insists you should photograph (like a famous landmark, and while often people are proud of their home and want to show you its most famous or best attributes, try to find meaning for yourself in your new place). Photograph whatever attracts or impels you to take a photograph, and oftentimes, the image can be a reminder of something larger before and after the photograph has been taken. If you would like to see more of Geoff's work, be sure to check out his Instagram. donnabertram, johbeil, gakurou, birgitbuchart & dimalx. With its convenient fold-out bellows design and multi-format capabilities, the Belair X 6-12 may be the only medium format camera that you need for its creative flexibility! Upon the release of their new album "Twentytwo in Blue", new LomoAmigos and NYC-based indie rock band Sunflower Bean stopped by our Lomography NYC store for an exclusive photoshoot with Mitchell Wojcik. Check out the photos and interview here! Slide into Summer with La Sardina Camera! With its irresistibly cool looks and easy snapshot skills, our humble La Sardina is all set for the summer! 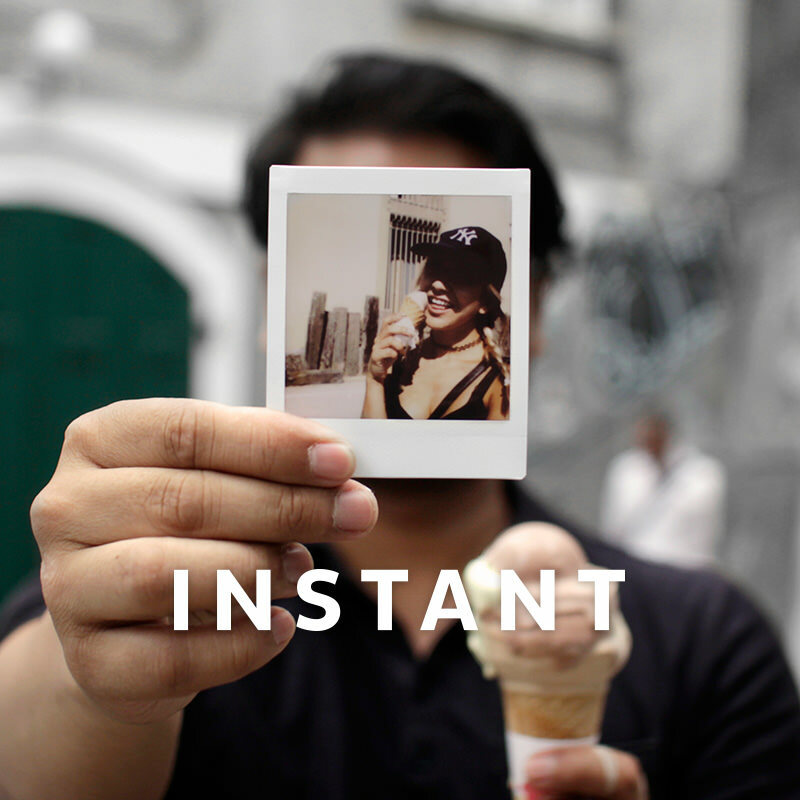 Are you ready to start taking amazing analogue shots?